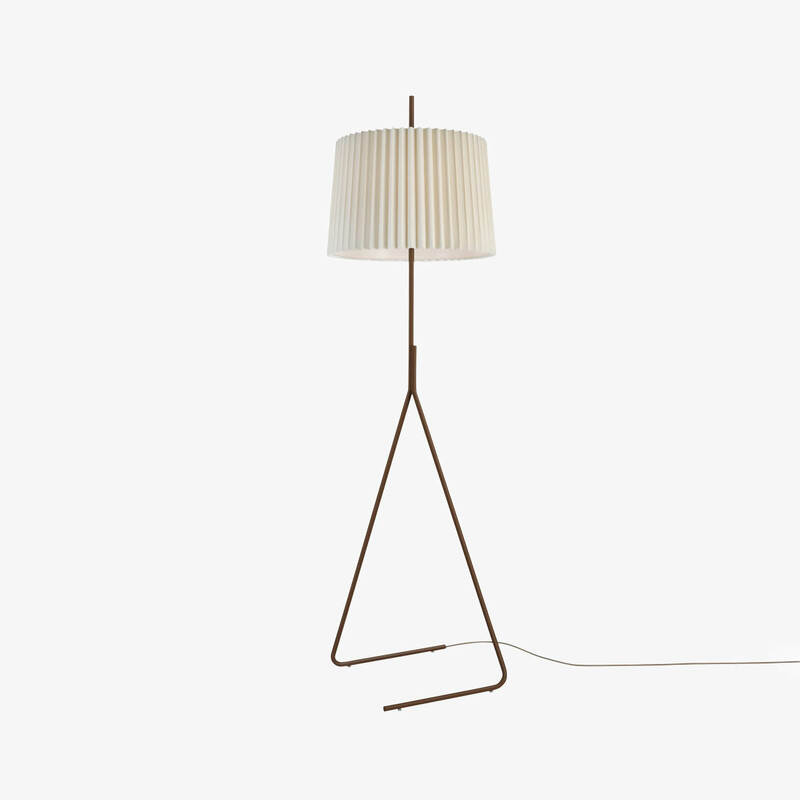 The Fliegenbein Floor Lamp is the most recent addition to the Fliegenbein family, expanding the character and functional applications of the range. The new luminaire revises the proportions of the original Fliegenbein BL, with a truncated overall height and an elongated shade. The effect is of a lantern: the design's signature bent legs now peek out from under a silken pleated expanse that emits intimate, diffuse light. By pairing a modest size with bold visual gesture, Fliegenbein makes an inviting companion to an armchair or lounge. Its tubular steel may be finished in dark gray and the electrical cord is wheat-colored.